Image: Richard Wilson. Superman Escape ranks in worldwide coaster vote. 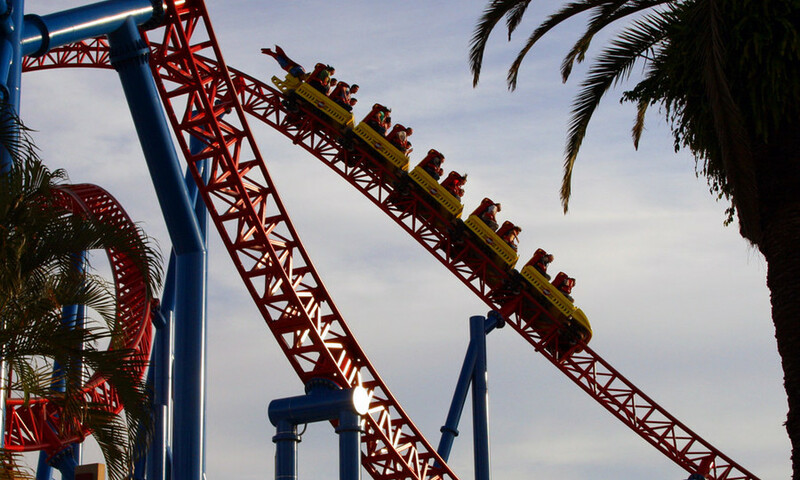 Coming in at number 16, Superman Escape is Australia's first ever high ranking roller coaster in the independent survey which has been running since 1994. The ride was slotted above Universal’s Islands of Adventure's "Fire Dragon" - one half of the Duelling Dragons set of roller coasters at the Orlando, Florida park. 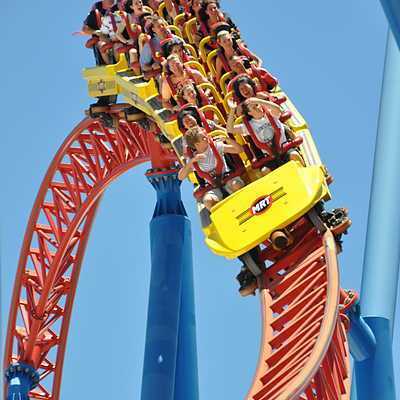 Another Superman, Superman - Ride of Steel at Six Flags Darien Lake in New York beat Movie World's coaster by a fractional margin of 0.0002. Formerly known as the Mitch Hawker Steel Coaster Poll after its creator, the Best Roller Coaster Poll has received countless accolades from industry experts and fans alike for its sophisticated ranking algorithms that prevent the survey from being a simple popularity contest. Each participant in the poll ranks the roller coasters they have ridden in relation to one another. Hawker uses the results from the hundreds of participants to compare each individual roller coaster to every other on the list, one at a time to determine which of the two was preferred by people who have ridden both. This process is performed hundreds of thousands of times until every single ride has been cross-referenced with every other. The result is a list of around 300 rides in order of their true popularity, disregarding any benefits a roller coaster ridden by more people would have in a simple 'numbers poll'. For this reason rides in Europe, Asia and now Australia get an opportunity where they normally don't in other less intelligent coaster polls. Intamin AG, the renowned firm responsible for Superman Escape's design and fabrication scored the top two spots on the poll with Expedition GeForce at Holiday Park in Germany ranking second, beaten by a margin of just 0.003 by Six Flags New England's Superman - Ride of Steel in Massachusetts in the US. For several years now these two coasters have dominated the top spots, cited by enthusiasts for their unparalleled airtime and overall ride experience. Last year Warner Bros. Movie World's Scooby-Doo Spooky Coaster ranked in at 66 for its first appearance on the list. This year it was down 40 places to 106. Australia doesn't feature again until Tower of Terror in 220 down from its high of 108 last year. It ranked 176 and 141 respectively in the two years prior. Cyclone ranked at 273 and the defunct Thunderbolt took the lowest position for Australia coming in at 328, just 11 from the bottom. With 2007 bringing Australia one confirmed coaster, Dreamworld's new Intamin motorcycle coaster, it's looking like another high performer could be out of the question for the 2007 poll. Booster Bike at Toverland in The Netherlands, a similar ride built by Vekoma ranked only 93. The full results of 2006's poll can be viewed here.